Dressed for sucess. I learned today that our polling place (the local firehall) has not only candy for voters but also a really nice Little Free Public Library outside. These are the best and I'm sooo happy to see more of them springing up. They're adorably small, shelved boxes outside in community areas where you can take a book or leave a book. Best idea ever. 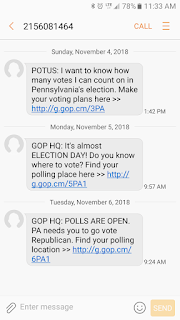 As far as voting goes, can anyone tell me why I have been blessed with these texts? One allegedly from President Trump? I'm not registered as a Republican, so... ? I was listing to Moody Bible radio in the car last night after the baby and I had dinner with a friend. Moody Bible had a little PSA about the importance of voting as a way to show love towards your neighbor. That a person should vote in a way that extends love and respect towards others. I thought it was a really nice way to frame it. Further along the lines of "who gives a crap about my opinion anyway" this came in the mail last week. 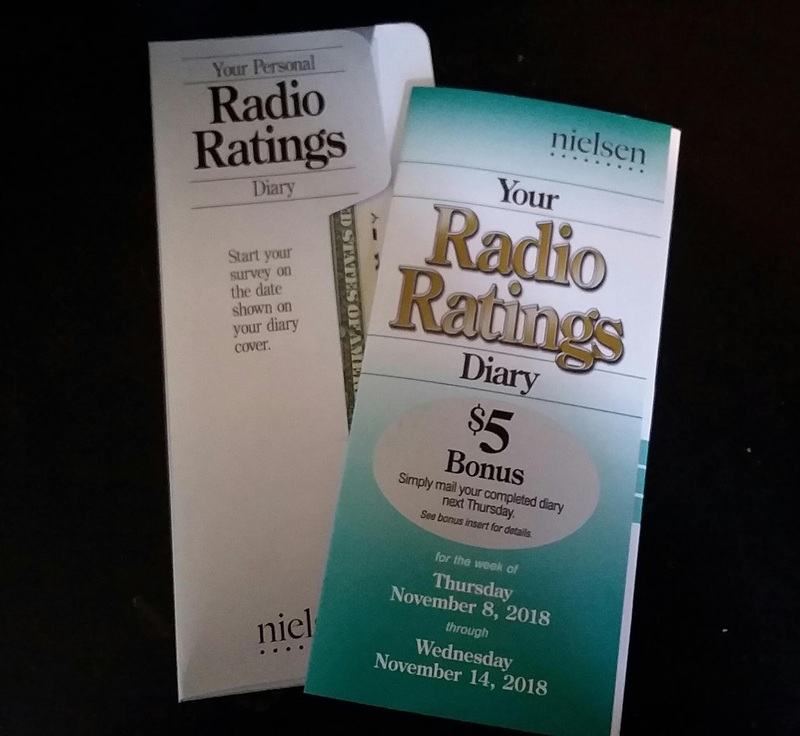 It's the third time we've gotten picked for Nielson Surveys. They're actually quite fun. 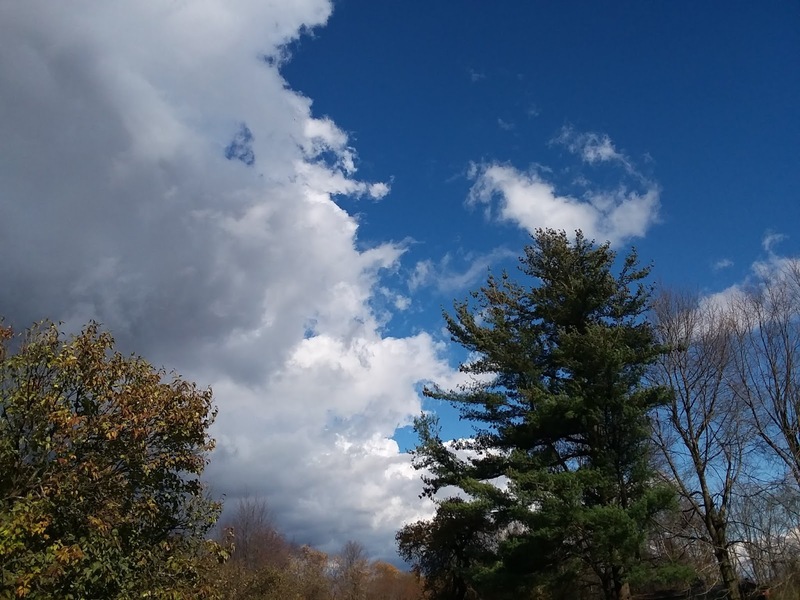 It's very, very windy today with a front coming through. It's Fall alright. A beautiful Fall day. There is beef stew cooking and I just pulled bread out of the oven. 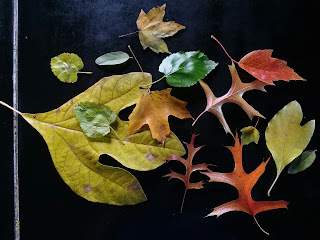 When the baby and I were picking up the little man from preschool a huge gust of wind came across the parking lot and filled the babies carseat with leaves. He was amazed. I'm pressing them in a phonebook to laminate and maybe the oldest and I will make a mobile? The sassafrass is from our place. 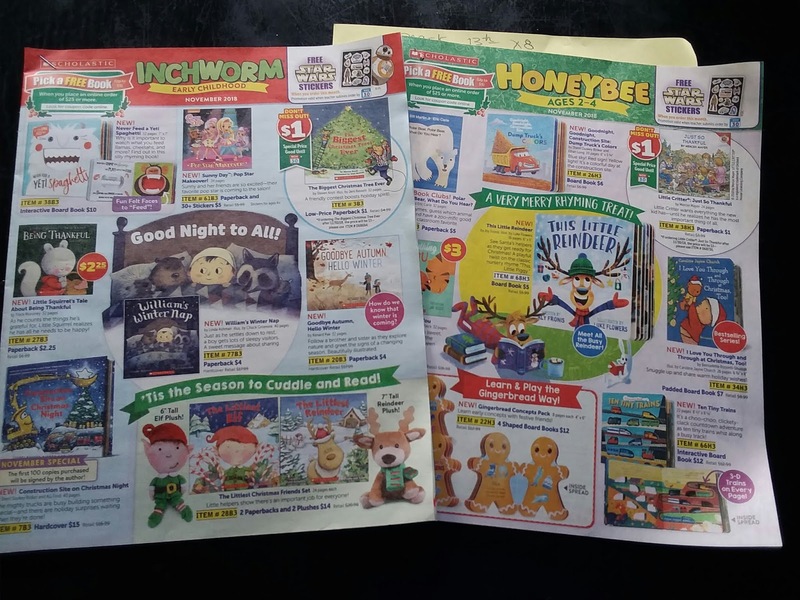 We hit a milestone here - our oldest brought home his first book order forms! Oh how I remember getting all sweaty palmed from excitement when these were passed out at school. The apple doesn't fall far from the tree hopefully. 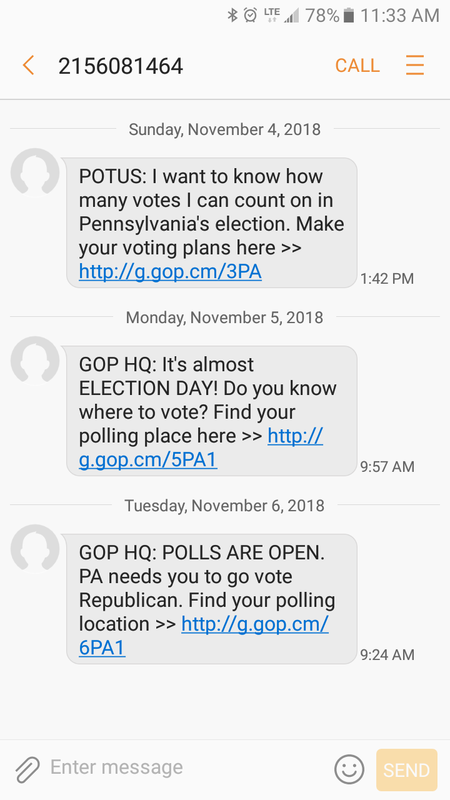 Edit: holy crap I just got ANOTHER text from the GOP. Did one of my friends do this to me? 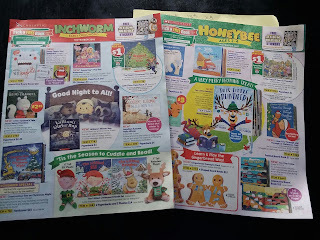 I loved getting the book list, if I had been good mum would let me choose a book. Our daughters also brought the magazine home to choose their book. House of bookworms here. Our UK news is full of the midterm elections, we watch to see the outcome. The book list is the BEST! Glad They're still around in this day and age. Ohh.. Lynn. Did YOU sign me up for the GOP mailing list???? Hahaha! Great to hear about your little apple, I am not suprised. Did she ever tell you which book was the best? Love your patriotic ring! We too had high winds here all day. I didn't dare hang out my laundry for fear it's end up in the next town. Thanks Donna! I think it came from a garage sale. That's why I only hang sheets out to dry - a fear of my undies sailing into the neighbor's yard.